For those of you who have been following Make Up For Ever, you will know that they recently came out with an Ultra HD Invisible Cover Foundation and the Ultra HD Invisible Cover Stick Foundation. Both of these foundations were created for use in the very latest high-definition technologies of the film + TV industry. The Ultra HD advanced formulas look invisible on 4k camera and to the naked eye, leaving you with an utterly flawless complexion that looks airbrushed. 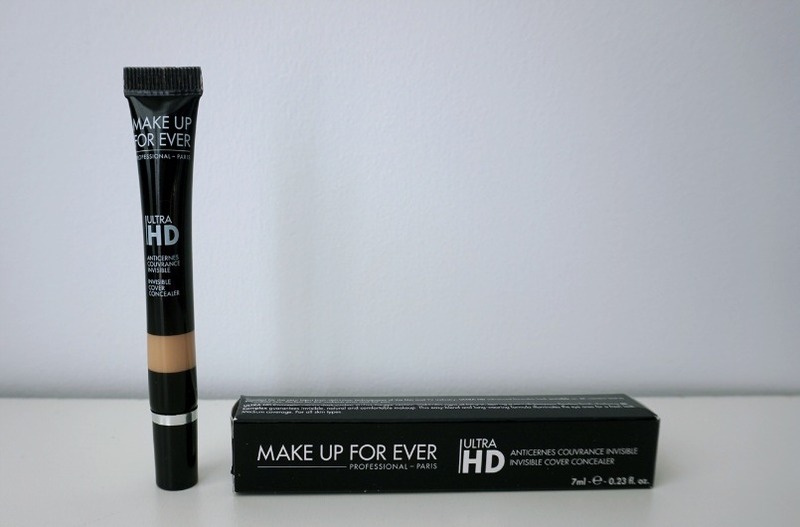 It should be no surprise, that they would follow up with the release of the Ultra HD Concealer, which is created to cover dark circles, unifies the eye contour and hides signs of fatigue while leaving behind a smooth, luminous and flawless finish. Like the foundation, the exclusive 4k Complex guarantees invisible, natural and comfortable makeup on your skin. It is easy to blend and has a long-wearing formula that illuminates the eye area for a fresh look. 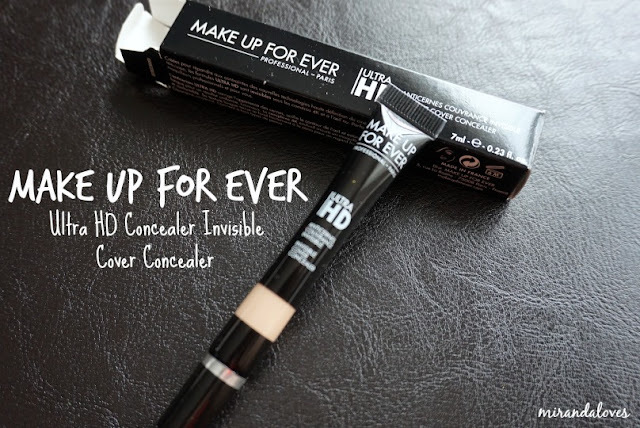 It is a Medium coverage and suitable for all skin types. This product retails for $32 cad and is available in two ranges - R and Y.
R = Color Correcting / Y = Concealing. R is peach toned, which neutralizes the dark circles, while Y brightens and awakens the under eye. The concealer is dispensed through a hole in the center of the tip - although it is quite small, you still have to be careful when squeezing it out because a lot can come out at once and you only need a small drop to cover both eyes. 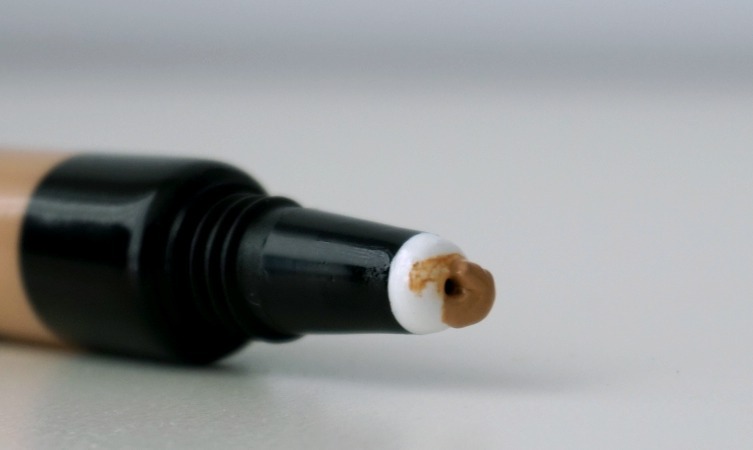 Picture below features a demo of the concealer - Left : with the concealer, Right: without. 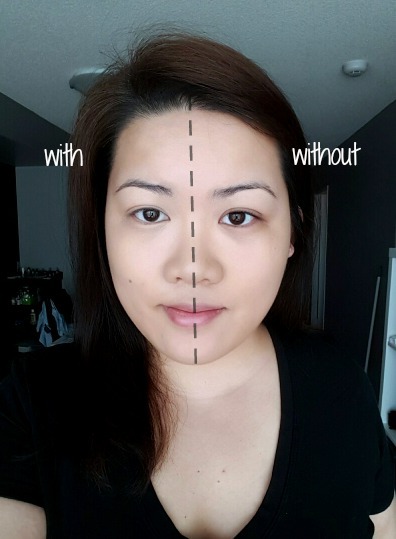 As you can see, it significantly hides the under eye panda dark circles as well as the discoloration on the outer corners of the eye. I also put a bit of it on the lid and around the nose to even everything out. For reference, my shade is Y33. I think that I'm going to go and purchase one of the R shades for correcting. 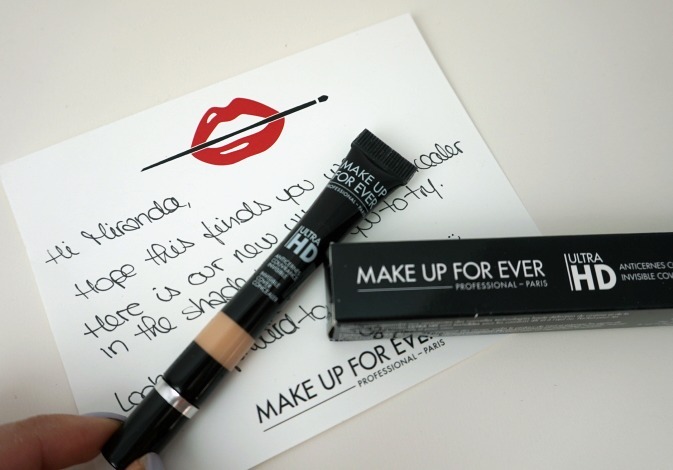 I love salmon-toned concealers so I want to try it out and see if it can be equally as good as this Y toned one. I found myself not having to fuss over creasing when a thin layer is applied and then set with a finishing powder under the eye. I had a full day's of wear (my day starts at around 7:30am and lasts til about 5-6pm).